The Prouse Advantage Card is a loyalty and rewards program run by Prouse Chevrolet. 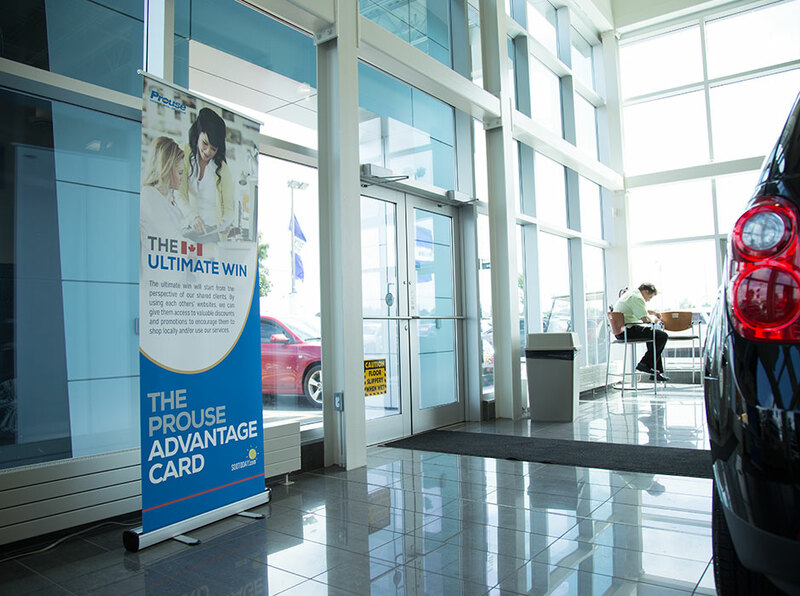 When customers use their cards at local retailers, they earn dollars to spend at the Prouse dealership. 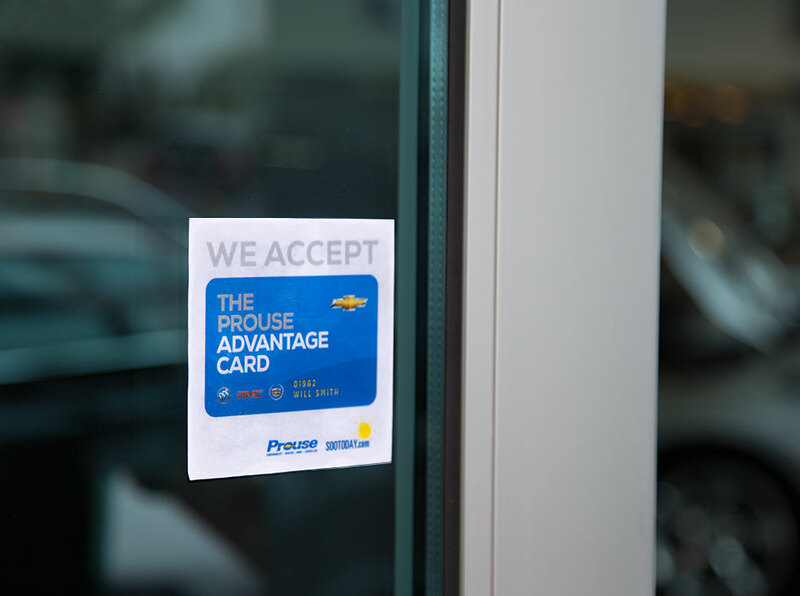 Prouse Chevrolet is emerging as a leader in customer loyalty and retention thanks to their new program, The Prouse Advantage Card. The team at Prouse partnered with local business owners to create a vast coupon directory, where Advantage Card holders can recieve special discounts, rebates, and promotions. With each purchase on their cards, Cardholders accumulate dollars to use at Prouse Chevrolet. The Prouse Advantage Card, a key tag, and a tri-fold brochure. “We accept The Prouse Advantage Card”. Comfort, safety, and stability are all feelings that people want to experience when signing up for something. The ever-so-familiar “Chevrolet blue”, a calm, reliable grey, and accents of golden yellow make up the majority of this brand’s visuals. I had the privilege of branding this program, which included loyalty cards, key tags, brochures, banner-ups, and more. Prouse dealership logo, customized with the new brand colours.